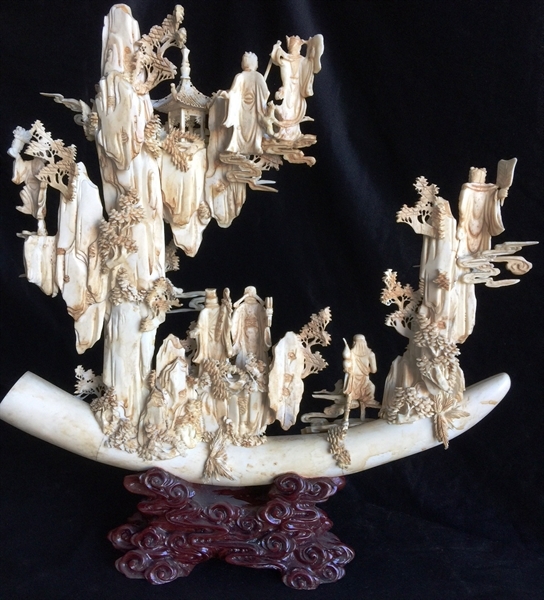 This beautiful piece of art is hand carved and hand painted from natural water buffalo bones. 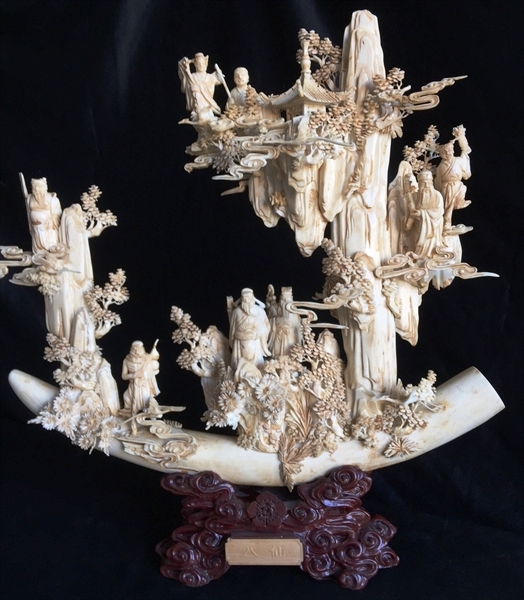 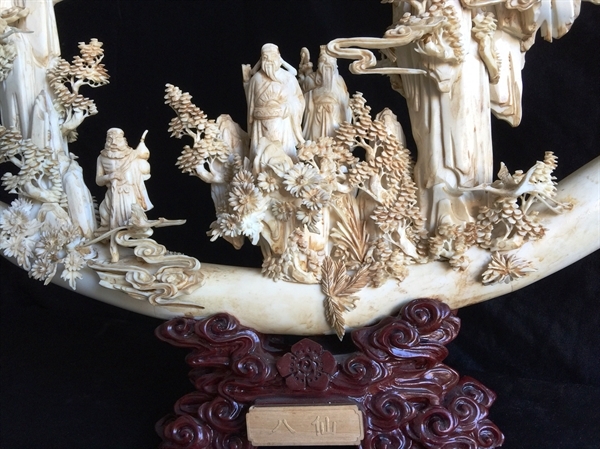 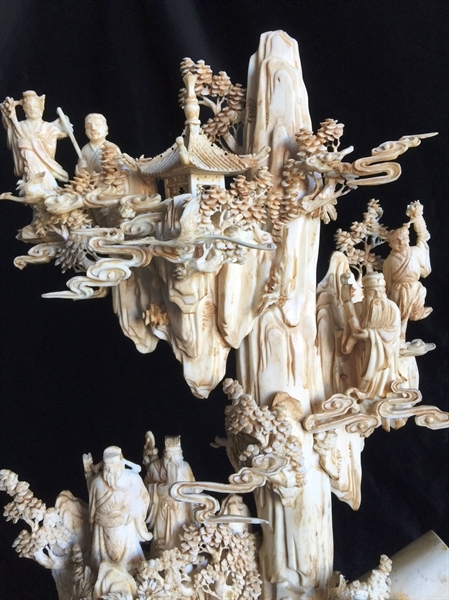 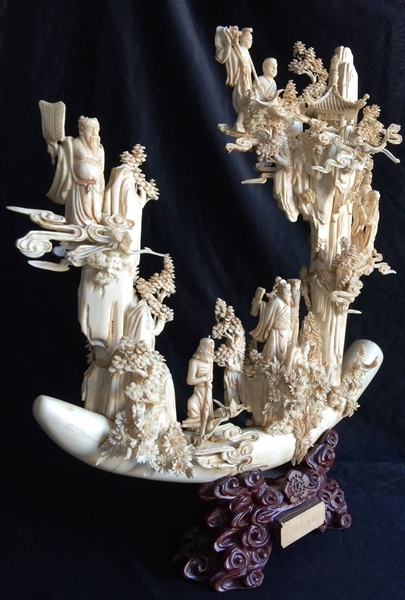 Eight immortals are carved on the tusk. 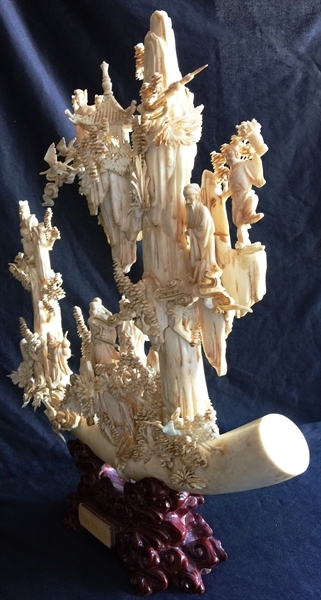 It comes with stand.